1) Put/sieve flour, baking powder and mixed spice into a bowl. 2) Rub in the margarine until the mixture resembles breadcrumbs, then stir in the sugar and fruit. 3) Add milk and egg replacer, and form a rough dough. 4) Heap into rough mounds on a greased baking tray and sprinkle with demerara sugar. 5)Cook for about 15 minutes at 190ºC/375ºF until cooked. 3) Pre-heat oven to 200°C / 190°C fanforced / 400°F. 4) Lightly oil a large baking tray. 5) Sift together flour and baking powder, and spices. Stir in sugar and lemon rind. 6) Add drained sultanas and pineapple. 7) Mix the oil and milk and stir into the mixture, to make a dough which just binds together. (less liquid than if making a cake batter). 8) Spoon onto rocky heaps on the greased baking tray and bake for 20 minutes or until golden brown and a toothpick comes out clean. 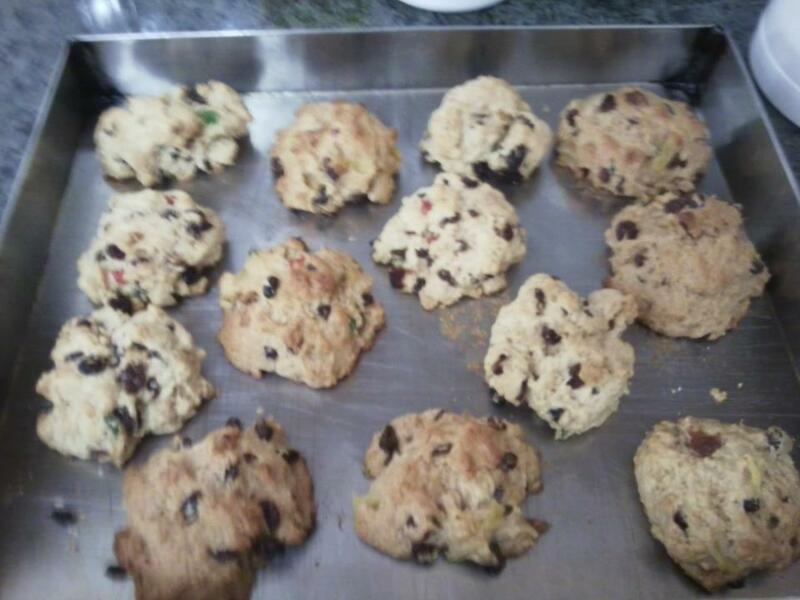 This entry was posted in By Course, Desert, Recipes, Sweets and tagged cake, pie, Recipes, traditional maltese recipes. Bookmark the permalink.